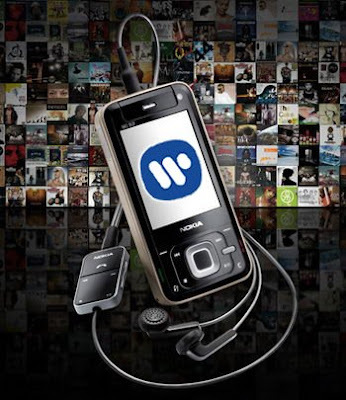 Nokia announced that Warner Music Group has officially joined the handset giant's Comes With Music initiative. Warner joins fellow major labels Universal Music Group and Sony BMG Music Entertainment in Comes with Music, which enables consumers to purchase a year of unlimited music downloads via mobile handsets bundled with Nokia's Ovi web services platform--while EMI Music remains a holdout. In addition, WMG content will now be available via the Nokia Music Store download and streaming service, which will be expanded to new international markets in the near future. Comes With Music is expected to launch in the second half of 2008 on a range of Nokia devices in selected territories. With a single purchase, consumers will have access to a year of exploring and downloading the music that they love, and be able to keep all their selections in their permanent library.